In this POP Century Resort review, Brittany from The Cool Hip Mom, offers us a quick snapshot of Disney’s POP Century Resort from her recent family experience at POP Century. 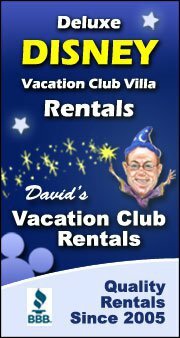 3 Can You Afford a “Value” Resort? Disney’s Pop Century Resort is a value resort that is great for its convenient location, decade nostalgia, and affordable price. It’s located in the World Wide of Sports Resort Area. Room rates range from $115-$160/night depending on room type and time of year. We have seen POP Century as low as $98/night on discount sites like Under Cover Tourist. Disney’s Pop Century Resort highlights 20th-century pop culture in a very fun way that the whole family will enjoy. Immediately pulling into the resort you are transformed back in time! While onsite you’ll see popular catch phrases and well known dance crazes on the top of the buildings. Each building represents an era starting from the 1950’s to the 1990’s. Depending on the building you are assigned to, you’ll find massive replicas of toys, electronics, music, movies, and fads relating to that era all throughout the building. During our stay this summer we enjoyed one of their newly renovated studios. The modern design was perfect for our little family, as the first thing we did was drop our bags and headed out to explore! We were very impressed by the simplicity and the functionality of the room. It was furnished with two full beds (one was a murphy bed that when put away is a table with 2 chairs), a refrigerator, coffee maker, TV, and a safe. The room was very clean when we arrived. We opted for housekeeping at the time because the resort was offering a promotion that included a gift card to the Everything Pop Shop! Of course we had to get a souvenir for our daughter! There are four room types at Disney’s Pop Century. All Disney Value and Moderate resorts rank rooms based on distance to major aspects of the resort such as lobby, pools, and restaurants. Can You Afford a “Value” Resort? Everything POP shop & dining is a quick serve option serving breakfast, lunch, dinner and snacks from 7 different stations including: grab ‘n’ go items (like salads, sandwiches, baked goods), grilled fare, pizza, pasta, sandwiches, healthy choices and home-cooked cuisine. The Petals Pool Bar (located by the Hippy Dippy pool) serves specialty drinks, beer, wine, sangria as well as non-alcoholic beverages. They do not serve food! Fast Forward Arcade is open 24 hours and located in the Classic Hall. There are a variety of arcade games, old and new. This is great for the kids (and the adults). Movies Under the Stars is offered on select nights out by the Hippy Dippy pool! You’ll be able to watch screenings of classic and newer Disney movies with the family underneath the stars. In the 70’s themed building of the resort, there is a playground for the kids. Speaking of fun for the kids activities. Have you heard about the secret meet and greet for Disney characters? There are plenty of buses that will take you to and from the parks and Disney Springs exclusively! All you need to do is head over to the pick up station in front of the hotel, get in the line of the park you are going to and it will take you right there! No stops! You can also take the Magical Express which provides complimentary transportation to and from Orlando International Airport! Everything Pop Shop is a great shopping experience! You’ll find Disney merchandise of all kinds from apparel, household items, stationery, toys and so much more. If you (or anyone in your family) forgot something (like toiletries, etc…) you can pick those up at the shop as well. There is a nice walking/running trail over by the 80’s section. It goes around the lake and there are facts from the 80s that keep you informed while you’re exercising. The Hippy Dippy Pool (the main pool) is located in the ‘60s section. It has flower shaped water jets and a kiddie pool for the little ones. There are two smaller pools: The Bowling Pool in the ‘50s section and the Computer Pool in the ‘90s section. Overall, this resort is a fun experience for the entire family! We would stay here again if we could. It’s a lot of fun. It’s also in close proximity to the Art of Animation resort (I actually went exploring one morning and found it). So if you ever wanted to stop by and see that resort, it’s within walking distance!